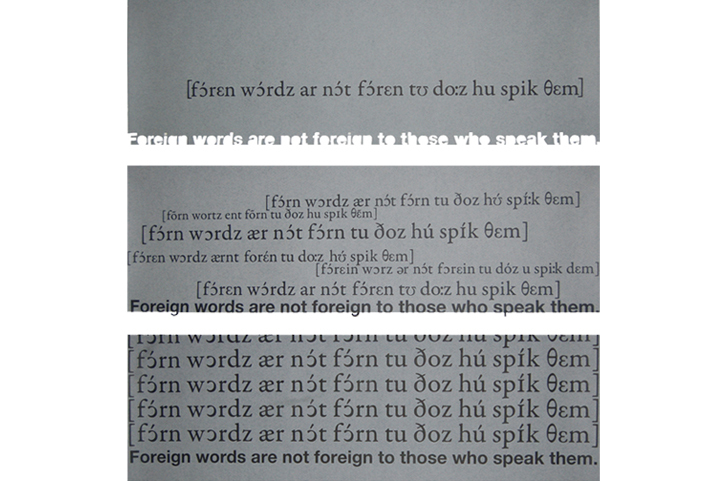 For this series, I picked the sentence "Foreign words are not foreign to those who speak them." from the book Native Tongues by Charles Berlitz and recorded various speakers saying it. 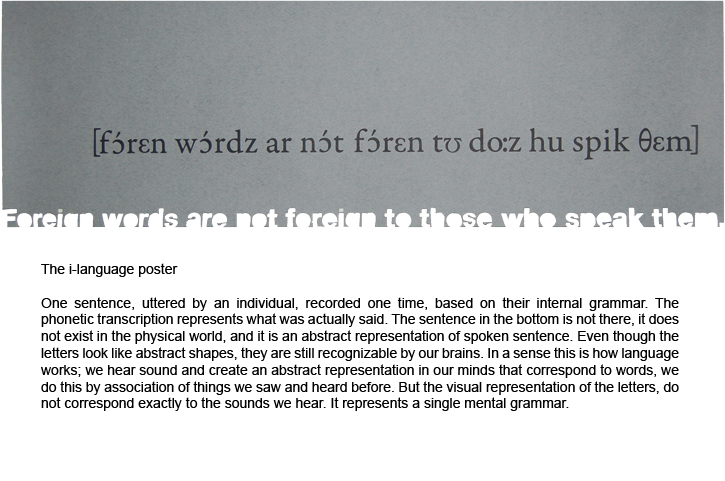 I used this as a base to explain in a visual way three different theories about language. i-language: I stands for individual, internal, intensional. 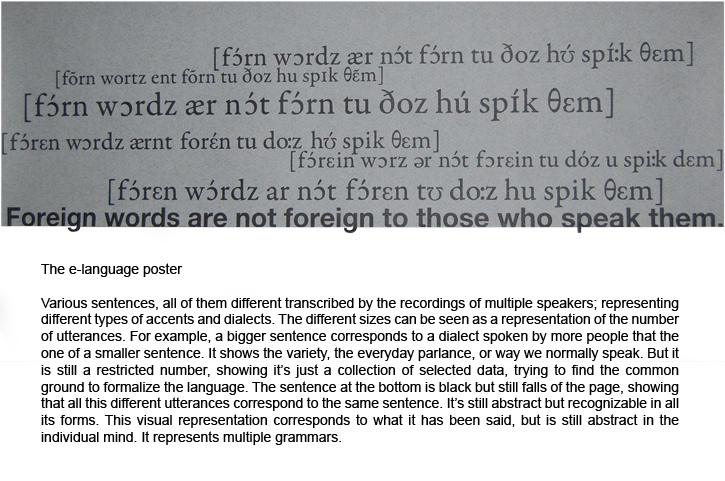 This linguistic approach studies the mental grammars of each individual person. e-language:E stands for external. This approach studies a collection of knowledge from a specific community. p-language: P stands for platonic. 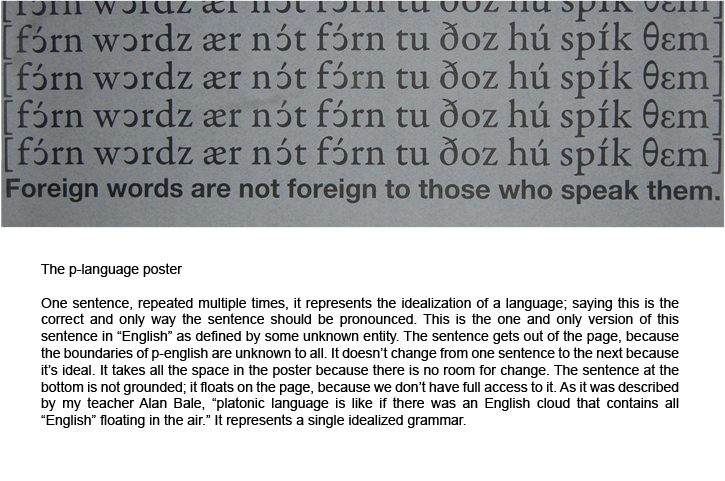 This approach assumes that "languages" are perfect entities that don't change and are independent of the speakers.